Largest model (1621 sq ft)with sun room. Hardwood floors throughout the first floor, close to NYC bus, shopping, Costco/BJs, restaurants and minutes to to train stations. 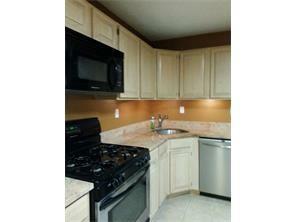 Ceiling fans, upgraded kitchen with s/s appliances and granite counter tops. Private deck and wood burning fireplace. New airconditiong and heating. Includes no fee swimming pool, tennis and basketball courts. Play area. 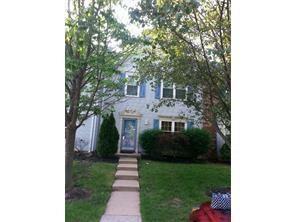 Located in a desirable private location in Governor's Point community. 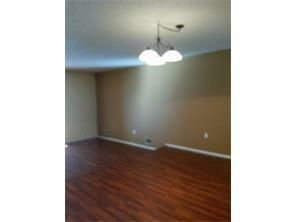 Spacious townhouse with open outlook. Listing courtesy of Gloria Nilson & Co Real Estate. Copyright 2019, CENTRAL JERSEY MULTIPLE LISTING SYSTEM, INC.. All rights reserved. The CENTRAL JERSEY MULTIPLE LISTING SYSTEM, INC. retains all rights, title and interest in and to its trademarks, service marks and copyrighted material. © 2019 Garden State Multiple Listing Service, LLC. All rights reserved. IDX information is provided exclusively for consumers' personal, non-commercial use and may not be used for any purpose other than to identify prospective properties consumers may be interested in purchasing. Information is deemed reliable but is not guaranteed accurate by the MLS or The Force Group, Keller Williams Realty East Monmouth. Notice: The dissemination of listings on this website does not constitute the consent required by N.J.A.C. 11:5.6.1 (n) for the advertisement of listings exclusively for sale by another broker. Any such consent must be obtained in writing from the listing broker.The data relating to real estate for sale or lease on this web site comes in part from GSMLS. Real estate listings held by brokerage firms other than The Force Group, Keller Williams Realty East Monmouth are marked with the GSMLS logo or an abbreviated logo and detailed information about them includes the name of the listing broker. Data last updated 2019-04-18T22:46:35.033. © 2019 New Jersey Multiple Listing Service. All rights reserved. IDX information is provided exclusively for consumers' personal, non-commercial use and may not be used for any purpose other than to identify prospective properties consumers may be interested in purchasing. Information is deemed reliable but is not guaranteed accurate by the MLS or The Force Group, Keller Williams Realty East Monmouth. The data relating to the real estate for sale on this web site comes in part from the Internet Data Exchange Program of the NJMLS. Real estate listings held by brokerage firms other than The Force Group, Keller Williams Realty East Monmouth are marked with the Internet Data Exchange logo and information about them includes the name of the listing brokers. Some properties listed with the participating brokers do not appear on this website at the request of the seller. Listings of brokers that do not participate in Internet Data Exchange do not appear on this website. Data last updated: 2019-04-19T00:16:27.797. © 2019 Monmouth-Ocean MLS. IDX information is provided exclusively for consumers' personal, non-commercial use and may not be used for any purpose other than to identify prospective properties consumers may be interested in purchasing. Data is deemed reliable but is not guaranteed accurate by the MLS or The Force Group, Keller Williams Realty East Monmouth. Data last updated 2019-04-19T00:19:38.167. © 2019 Hudson County Multiple Listing Service. All rights reserved. IDX information is provided exclusively for consumers' personal, non-commercial use and may not be used for any purpose other than to identify prospective properties consumers may be interested in purchasing. Information is deemed reliable but is not guaranteed accurate by the MLS or The Force Group, Keller Williams Realty East Monmouth. The data relating to real estate for sale or lease on this web site comes in part from HCMLS. Real estate listings held by brokerage firms other than The Force Group, Keller Williams Realty East Monmouth are marked with the HCMLS logo or an abbreviated logo and detailed information about them includes the name of the listing broker. Data last updated: 2019-04-19T00:25:42.597.